Overall dimension is 19.5"(Length) x 15"(Width) x 14"-18" (Height is Adjustable). Base Dimension is 17" (Width) x 15" (Depth). Easy to assemble, universal design to fit standard tubs or showers. Roomy white seat is 19.5" wide by 11.5" deep. 250 lbs. weight capacity. Suction cup feet for added stability. Designed with built-in handles and drainage holes. 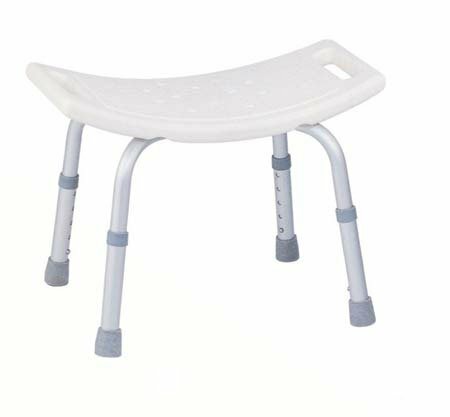 Blow molded shower seat provides comfort and strength.